Sr Andrea Fraile of the Cardinal Winning Prolife Initiative outlines the work of Rachel’s Vineyard, a support programme for the forgotten victims of abortion. “The day that my baby died I realised that I had died, too.” So said Maria, one of millions of women worldwide who suffer in silence while the pain and the grief of an abortion experience gnaws away at the core of their being. While the political machinery trundles on and propaganda on reproductive rights reaches fever pitch – and while abortion, though not “ideal”, continues to be touted as the only reasonable and responsible solution this society has to offer in the face of unplanned pregnancy – women without number who believed the propaganda are now living a radically different version of the carefree life they were promised. For clinical diagnosis of PTSD, symptoms must be identified in each of these three categories: hyperarousal, intrusion and constriction. In hyperarousal, the “fight or flight” defence mechanism we all have is over-sensitised and manifests itself in a general tendency to be always on the look out for threat or danger. Symptoms include panic and anxiety attacks, angry outbursts, hyper-vigilance and difficulty falling or staying asleep. Various connectors that trigger the memory of a past abortion, such as the death of a loved one, sounds (like that of a hoover, recalling the sound of the suction during the procedure) or even weather, can induce these symptoms unexpectedly. Intrusion is about reliving the traumatic experience in different ways, for example by having recurring thoughts about the abortion or aborted child, or having flashbacks, nightmares or intensely depressive reactions around the time of significant anniversaries. Repeat abortions, paradoxically, and replacement pregnancies are additional symptoms of the same thing. In many instances, the recreating of the trauma takes on a disguised form, as in risk-taking behaviour or suicidal tendencies. In constriction, an opposite phenomenon occurs in that any circumstance, sight, sound, smell etc that can be associated with the trauma is studiously avoided. In post-abortion trauma this might include avoidance of family gatherings where young children are present, withdrawal from relationships, especially from those who were involved in the abortion decision, suppression of one’s feelings to the point of being unable to recall all or part of the procedure, drug and alcohol abuse and, the ultimate constrictor, suicide. All of the above symptoms are classic traits that women – in our families, in our churches, in our workplaces and schools – experience in the deepest recesses of their stricken souls while we pass by unknowing. But there are courageous souls in this world who acknowledge this forbidden grief and have devised and established a way in which such grief can find expression and be genuinely healed. Rachel’s Vineyard retreats are an initiative created and driven by Theresa Burke, assisted by her husband, Kevin. Burke was a fledgling psychologist when she was instructed to lead a weekly support group for women with eating disorders. Throughout the course of one particular session, a woman in the group made reference to an abortion she’d had. Among other things, she spoke of flashbacks, and her extreme agitation when her estranged husband left spiteful messages on her answering machine calling her a “murderer”. This resonated with the experiences of a number of other women in the group until one of them– also post-abortive – lashed out angrily and defensively, saying that the abortion was the best thing she could have done to regain control of her life after a man had so badly messed it up. After weeks of discussing every kind of emotive issue, from stress and self-esteem to difficult relationships and sexual inadequacy, no topic had caused such a violent reaction. The incident made a deep impression on Burke, who could quite easily make a connection between the eating disorders the women spoke of and the abortions they systematically did not speak of. She flagged this up to her supervisor, a psychiatrist, who told her in no uncertain terms to leave the subject of abortion well alone; that the woman who mentioned abortion in the first place was not experiencing flashbacks but merely a psychotic reaction to the medication she was on. That incident, along with her supervisor’s subsequent reaction to it, was the catalyst that resulted in Theresa Burke establishing Rachel’sVineyard retreats in 1994. The point of these retreats is, first of all, to reveal to post-abortive women that although they feel a tremendous sense of isolation, they are not alone. The mere fact of connecting with people who understand is already an important step. Secondly, they are allowed to grieve the loss of their child. It is naturally understood that words of condolence, no matter how small or unoriginal, from friend or stranger, comfort us because they allow us to see that we are not alone: others know how we feel. The post-abortive woman has in all likelihood never heard anyone say: “I’m sorry for your loss.” And yet she grieves the death of her child. Thirdly, by owning the part they played in the abortion experience and learning to forgive, they are offered real hope that their wound can not only behealed but also be a tremendous grace. To whom are Rachel’s Vineyard retreats directed? I have made constant reference to women, but the retreats are open to everyone. The truth that “no man is an island” becomes tragically poignant when a child is aborted, as grandparents, aunt, uncles and siblings try to come to terms with their loss. These often participate, as do healthcare professionals who have suffered spiritually and emotionally over many years. Special mention must be made, however, of the fathers of these children, who are most earnestly encouraged to attend. Some may have had no part to play in the abortion decision their spouse or partner made years previously, but they are living with the consequences of that decision and may want to accompany their partner in seeking healing as a couple; other men go to seek healing for the wound at the heart of their own abortion experience. Whether the man actively encouraged an abortion or stood by and allowed it to happen, his identity as father, and therefore as protector and defender of his family, is radically wounded. What Happens Over the Course of the Retreat? Why a weekend retreat and not simply a series of counselling sessions? Because so often in one-hour counselling sessions, a therapist can only get so far before it’s time to finish, and a woman who has been brought close to the root of her emotional pain then has to leave the room and go back to her everyday life: it is deeply unsettling and can draw the process out for years. In addition, the retreat provides a safe environment with a trained counsellor and professional psychologist so that, should she need any immediate help, it can readily be provided. But then it need not be an either/or, and one-hour counselling sessions have their place. They can be a useful means of exploring various destructive behaviours and the emotions that lie at the heart of them. Many people participate in a Rachel’s Vineyard weekend towards the end of a series of counselling sessions and find that, because of that previous groundwork, they engage more fully in the retreat. There is no hard and fast rule. It is scientifically demonstrable that memories of traumatic experiences remain in specific, non-verbal parts of the brain (not in the left frontal cortex, where reasoning occurs). As a result, traditional talk therapy can be ineffective and this is why Rachel’s Vineyard retreats are sensory based: connectors to trauma are sensory, so the healing must be too. It seems that no one understood this better than God who, knowing that in our humanity we relate to each other by sense, sent His Son to us that we might know that our God is not far away but enters fully into the length and breadth, height and depth of our human experience. A trusting knowledge of the healing power of God, not man, is the kernel of the whole thing: Rachel’s Vineyard is utterly Christ-centred. 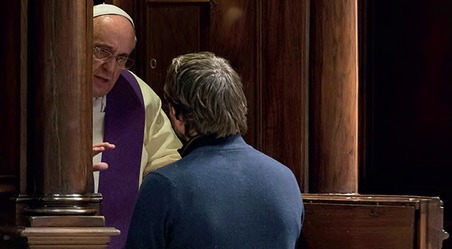 In Catholic retreats(there are inter-denominational ones, too), there is Adoration all weekend and the opportunity for the Sacrament of Reconciliation – a priest is present throughout the whole weekend. In every retreat, Catholic or not, Scripture plays an essential part in the healing process. Gospel passages are meditated on through the medium of role play – from the woman caught in adultery, when Jesus bends down and looks straight into the eyes of the (self-)condemned woman and says: “Who condemns you? … Neither do I” (John 8:1-11), to the healing of blind Bartimaeus, to whom Jesus says: “What do you want me to do for you?” (Mark 10:46-52). Retreatants are invited to carry a stone with them everywhere they go, as a symbol of their own condemnation – to the dining room, the bedroom, the bathroom. It is under no circumstances a punishment, and they can let it go whenever they want, but it is an opportunity for them to reflect on what it is they are carrying around with them. It might be their guilt, their alcohol addiction – whatever it may be, it is often something they wish to hold on to as a way of memorialising their baby. Memorialising is good, but the object of the exercise is to seek out healthier ways of doing so. Afterwards they are invited (everything is by invitation; there is no coercion at any point) to tell their own abortion story, to connect the pains of the past with the present; and in the telling of these stories, damaged relationships with God, with the unborn child, with family members and the Church are also addressed. Maternal/paternal identity is also looked at since trauma can often be expressed through neglect or over-protectiveness of existing children. And then a beautiful part of the weekend arrives when participants are invited to envisage their unborn child or children. Where are they now? Safe and happy in the arms of Jesus (“for whom all men are alive”). And now these broken mothers, fathers, grandparents can reclaim the truth that, actually, they never stopped loving theirunborn children. At the abortion event they might have said: “I don’t love you, I don’t want you”, but it was a lie, and now they have the chance to reclaim, too, the meaning of their child’s life: he or she is safe, in heaven, and powerfully interceding on their behalf before the throne of God. The weekend ends with a memorial service in which letters they have written to their unborn children are read out and their children symbolically laid to rest. At this stage I am always reminded of the widow of Nain (Lk 7:11-17) or, before her, the widow who looked after Elijah (1 Kgs 17:17-24). Both of these have endured the death of their sons and, with them, any hope for the future. Both passages of Scripture go on to tell us that Jesus and Elijah respectively “gave him to his mother” once he had been restored to life. Rachel’s Vineyard allows women to truly think about their children now, not as wasted lives and missed opportunities, but as living beings with whom they can look to the future with hope. The child they had lost to abortion turns out to be the saint in heaven who willlead them to Christ. 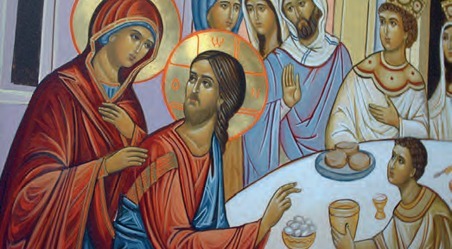 The retreatants’ loved ones are invited to come along to the memorial service, followed by a sumptuous lunch, the banquet of the prodigal son. This can be a very effective means of breaking down the feelings of isolation that persist when returning to daily life. Since 1994, more than 600 retreats have been held annually, reaching thousands of women across 47 states of America and 17 countries. In Britain and Ireland, retreats take place in Leeds, London, Cork and Derry; and there have been a few in Ayrshire and the Highlands. In an outcome study that was carried out in the US five years ago, 242 women were asked to what extent their PTSD symptoms had improved after attending a Rachel’s Vineyard retreat. They were asked to rate their experience on a scale of -5 to +5, where -5 to -1 indicated a worsening of the symptoms, 0 indicated no change, and 1-5 indicated an improvement. The average response was 4.75. Many of those who have been healed have gone on to help others through subsequent retreats, and the retreats themselves are on theincrease. Jesus said that He had come that we might have life and have it in its fullness (Jn 10:10) and there are so many who need His healing touch to bring them to life again. Let us all, wherever we are and whatever we do, acknowledge this silent wound, this forbidden grief, and spread the word that death does not have the final word. There is hope. If you, or someone you know, is broken through abortion, contact Marene on 07505 904 656 (email: Rachelsvineyard.leeds@hotmail.co.uk) or Bernadette on 087 8592877 (email: noramalone15@yahoo.com) for information.